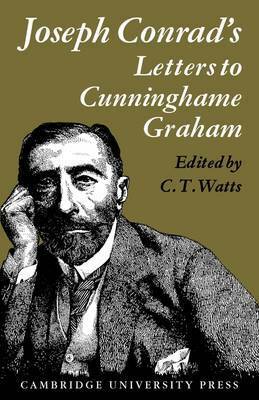 Joseph Conrad's friendship with R. B. Cunninghame Graham was stimulating, and in many ways paradoxical. These letters to Cunninghame Graham are the most illuminating sequence of letters from Conrad to any of his correspondents. He struggles to define his philosophical and political beliefs in relation to Graham's radical and provocative opinions. The majority of the letters were written between 1897 and 1904, during which time Conrad reached full maturity as a novelist. The letters also provide comments on Conrad's work, and show how Graham helped to sustain him in some of his most strenuous literary struggles. Of the eighty-one letters in Dr Watts' edition, which was originally published in 1969, twenty-five had never been published before, and some of the remainder had appeared in incomplete or inaccurate versions. Conrad's spelling and punctuation are retained and his own alterations indicated. There is a biographical and critical introduction, and explanatory footnotes.